Immigration News! Important Changes to Australian Visas You Must Know. Imminent Fee Increases on the Horizon! Visa application charges will increase by 5.4% on 1 July 2019. All visas will be affected except for the Subclass 600 Visitor Visa, and second instalment visa charges (e.g. second instalments for parent visas, or a second instalment for some employment visas where a secondary applicant does not have a certain level of English). Obviously, the more expensive visas, such as Partner Visas will increase the most. Partner Visas will increase by approximately $386 to an even more eye watering $7546.64 (and don’t forget the 1% credit card surcharge that the Department of Home Affairs also charges)! Reduction in the maximum number of Permanent Resident visas. The government announced in the budget that the 2019/2020 immigration program intake will be lowered to 160,000 permanent resident places (a stated reduction of 23,000 places). The reduction will mainly affect the Skilled Independent and Employer Sponsored visas. Realistically, the migration intake has been cut by stealth already. Throughout this program year, applications for Skilled Independent Visas (Subclass 189) were significantly decreased, because the Department of Home Affairs only issued invitations to aspiring applicants who had points scores in excess of the required 65 points. In some invitation rounds, including the most recent on 11 March 2019, invitations were only issued to applicants with point scores of 75 or higher in the Skills Independent Visa group, and only those with point scores of 85 or higher were issued Subclass 489 invitations. Anecdotally too, there has been much talk in the industry that more visa applications have been refused in the last program year. On a more pleasant note, starting on 1 November 2019, extra points will be awarded to applicants with partners who have Competent English but who cannot meet the requirements to claim the existing skilled partner points. Single applicants will also have the opportunity to score extra points, however the procedure for this has not yet been released. Applicants nominated in a regional area may be entitled to an extra five points as well. Further details however have also not yet been announced. Changes to Partner Visa Applications. We have been writing about the Partner Visa changes for a while now. Essentially, the partner visa application process will be split into two separate applications. A new separate application will be required for the partner sponsor to become approved, prior to the Partner Visa applicant being able to apply for the Partner Visa. At the moment, we have no idea when the new changes will be implemented, however the Prime Minister has announced that he will be launching a new domestic violence legislative/funding package package on 17 April 2019, and we anticipate that the proposed changes may be announced on this date as well. For more details about the changes read our earlier comprehensive blog articles which you will find here and here. Obviously, as soon as we have a firm date for the changes, we will let you know. ** Update** The new Act amendments will commence on 17 April 2019, but we have yet to see the Regulations that will implement the actual Partner Sponsor/Visa application changes. It’s a bit technical, but so far the only “Family Sponsor” that has been prescribed by the Minister, is the Sponsored Parent Visa Sponsor. The Minister must prescribe a Partner Visa Sponsor under the regulations, for the new act to impact Partner Visas/Sponsor applications. The Dept of Home Affairs has announced that there will be no changes to Partner Visas on 17 April. The stays quo will remain until new regulations are drafted. With the imminent election before us, it is unlikely any changes will happen until afterwards. We will keep you posted. This is a new scheme for General Practitioners, intended to manage growth of Australia’s migrating Medical doctor workforce. This new scheme affects General Practitioners, Medical Practitioners not elsewhere classified (NEC), which includes Sports Doctors, and Nuclear Medicine Doctors and Resident medical officers. It effectively forces General Practitioners and other medical doctors listed above into regional areas to provide better access to medical care for regional populations. For further detail about the changes, and how they work in practice please read our earlier blog post on this subject which we published on 13 March 2019. There will be a New Sponsored Parent Visa on 17 April 2019. Australian Permanent Residents will be able to sponsor their parents for up to 10 years from 17 April. Couples however will only be able to sponsor one set of parents, and there are only 15,000 places available. This is also a very expensive visa which will cost $3000 for a three-year visa, and $5000 for a five year visa. There is a limit of two sequential visas, which means that a parent could anticipate to stay in Australia for a maximum of 10 years. Parents will require private health insurance as no Medicare will be available to them (because it is a temporary visa) and sponsors must be approved prior to the parents’ application being processed. This visa will however allow parents to visit their children and grandchildren for an extended period, without having to leave Australia every 3 to 12 months, as is required with the current visitor visa arrangement for parents. New definition of “Regional Area”. For the purposes of the new regional visas described below, and the new post study regional perks (see next article) the definition of a “Regional Area” will be all of Australia except Sydney, Melbourne, Perth, Brisbane and the Gold Coast, leaving many desirable locations around Australia on offer. Starting in 2021, Student visa holders who complete their studies in a regional area, and remain in the regional area afterwards will be able to apply for an extra one year’s post study visa. Holders of a second Temporary Graduate visa will be required to maintain their residence in a regional area for the year. The government will also be offering scholarships to student visa holders (as well as domestic students) who want to study in a regional area, and these will be concentrated on vocational qualifications and postgraduate study. 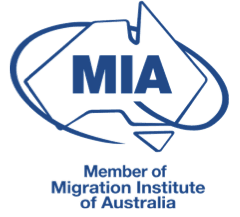 The government’s push to direct migrants into regional areas will gather momentum from 1 November 2019, when new regional visas will commence. The current Regional Sponsored Migration Scheme (Subclass 187) visa will be discontinued as well as the State Nominated Temporary Regional Visa (Subclass 489). The new visas will come with a requirement to live in a regional area for three years, instead of the current two-year requirement. The new visas are called the Skilled Employer Sponsored (Provisional) Visa and the Skilled Work Regional (Provisional) Visa. The Skilled Employer Sponsored (Provisional) Visa is for applicants sponsored by an employer in regional Australia, and the Skilled Work Regional (Provisional) Visa is for people who are nominated by a State or Territory government, or sponsored by an eligible family member to live and work in regional Australia. The new visas will be granted for up to 5 years. The Permanent Skilled Regional Visa will commence in 2022, and holding one of the new visas for three years will be a prerequisite for this visa. As described above”Regional areas” have been redefined to include all areas except Sydney, Melbourne, Perth, Brisbane and the Gold Coast which leaves a lot of Australia on the table for potential visa applicants. The new regional visa requirements will have no impact on those who apply for a Regional Sponsored Migration Scheme visa or a Subclass 489 visa prior to 1 November 2019, or who already hold one of these visa types. If you are planning to apply for a visa at the moment, make sure that your application is lodged before 1 July 2019, to avoid the increased cost. If you are intending to apply for a Regional Sponsored Migration Scheme (Subclass 187) visa or a Subclass 489 visa, apply before 1 November 2019 to avoid the three-year requirement of living in the regional area for three years instead of two. If you are considering applying for a student visa, give some thought to applying to a regional campus to gain the benefits described above of gaining an extra year in Australia by way of a second postgraduate visa. We will bring you further news, as the new requirements are clarified by the Department of Home Affairs. 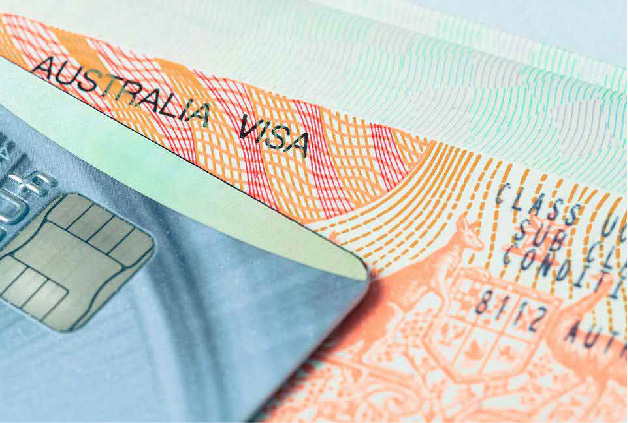 If you need to get moving, and are not sure whether or not you meet the current visa requirements, and want to (a) avoid increase costs, or (b) avoid having to spend extra time in a regional area, or (c) want to find out how to optimise your chances of staying an extra year in Australia following a student visa, we are here to assist you. We advise you to book a consultation with one of our experts, and start planning your future in Australia without delay. At AHWC Immigration Law, we believe that “if we can’t get you a visa, no one can”! It’s only just April and we have had 137 visas granted this year (excluding Bridging Visas)!